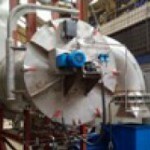 Combustors combine a combustion room with internal (multi) fuel burner(s). 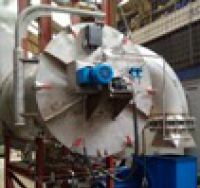 The design brings the advantage of a preheat section for the combustion air by means of a triple combustor wall; this preheated air (400 – 600 degrees C) enhances the combustion process considerably. 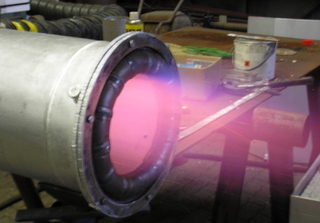 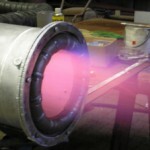 Quick and complete combustion, even of cumbersome fuels or gas flows, can be guarantied. 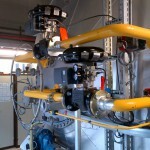 As a combustion room for Incinerators and R.T.O.’s the pre heating will bring high economy profits (e.g. 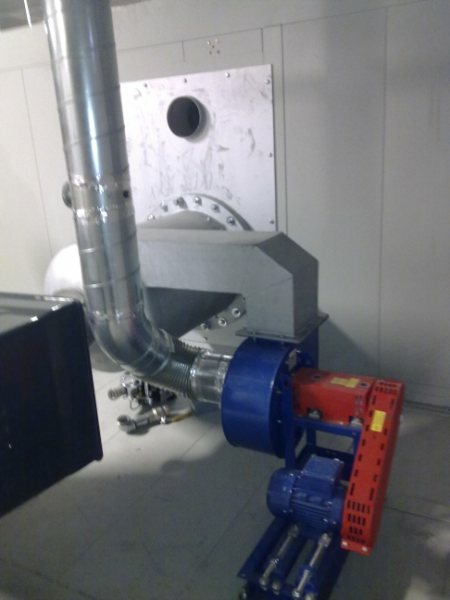 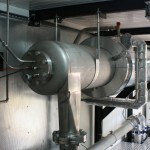 600 degrees C. heat recovery) and low maintenance cost due to the whole metallic design. 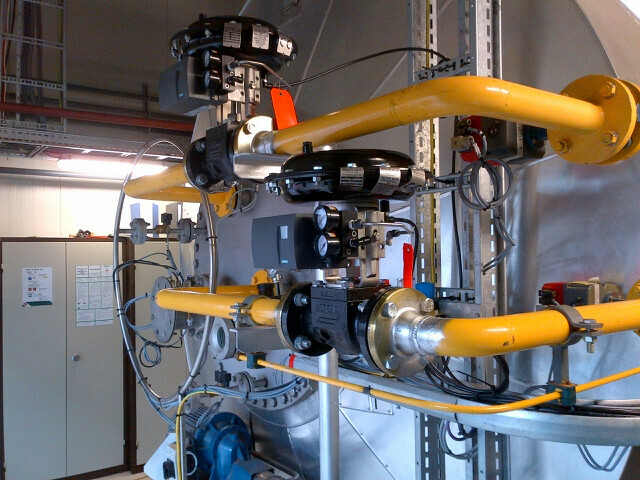 Short start-up and shutdown times are realizable, thus enabling the possibility to only start and operate the equipment when needed. 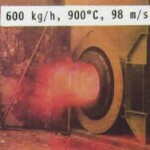 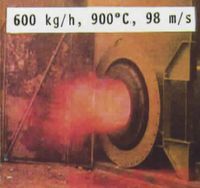 Typical temperatures in the flame can be set at a range from 600 degrees C up to 2000 degrees C.
Combustors have proved their liability hundreds of times and are on behalf of the ab­sence of any ceramic materials very reliable. 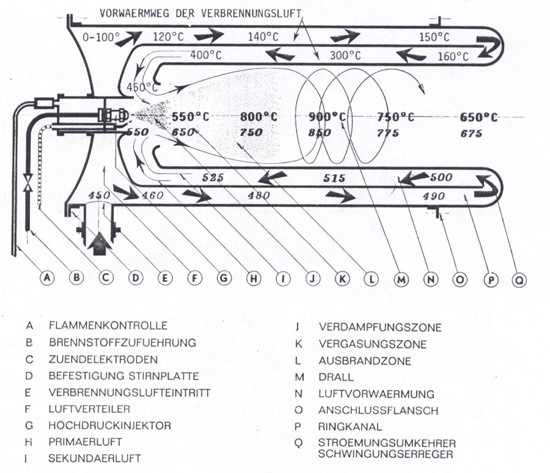 Difficult fuels, e.g. 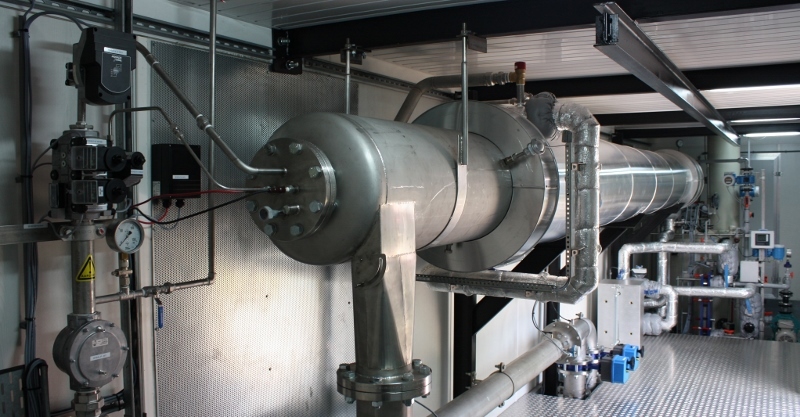 G-faze, a rest glycerine product from the bio diesel production, are combusted completely before the exhaust gas enters into the boiler, preventing clogging and lowering efficiencies.